A key 2015 study concluded that the ocean contains far more degraded plastic than previously believed. The ocean contains an estimated 150 million tons of plastic, with 8 million tons added annually-equivalent to a garbage truck load every minute. 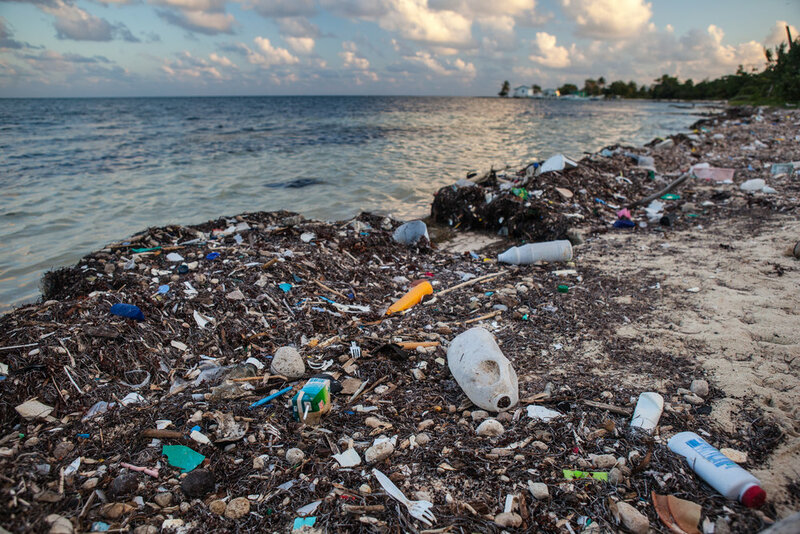 A 2016 Ellen MacArthur Foundation study predicted oceans will contain more plastic than fish by 2050 if no actions are taken to reduce the flow of plastics into waterways. As You Sow has launched an international coalition of investors to engage publicly traded consumer goods companies on the threat posed by plastic waste and pollution. Twenty-five institutional investors from four countries with a combined $1 trillion of assets under management have signed a declaration on plastic pollution citing plastic pollution as a clear corporate brand risk and pledging to interact with leading companies to find solutions through new corporate commitments, programs, and policies. Our initial engagements will be with four large consumer goods companies: Nestle, Procter & Gamble, PepsiCo and Unilever. Only a fraction of plastic ocean pollution is visible. Most of it consists of tiny degraded particles swirling in vast gyres spread across 16 million square kilometers of ocean surface, an area the size of the United States and Australia combined. Plastic particles in oceans harm marine animals in two different ways. First, they become lodged in the digestive systems of animals, leading to impairment or death. Fish, turtles, seabirds, sea lions, and whales can all die a grisly death eating or become entangled in plastic. A recent study found that a quarter of fish at markets in California and Indonesia contain plastic in their guts, mostly in the form of plastic microfibers. Second, plastic particles can absorb toxins already in the water and spread them through the marine food web, and possibly to humans. Much of plastic ocean pollution is packaging. Nine of the top 10 items recovered by the Ocean Conservancy’s annual coastal cleanup are some form of packaging or fast food dining supplies. This new video, Plastic Free Oceans, summarizes the ocean plastic pollution problem, As You Sow’s unique shareholder advocacy leadership work to address it, and how your support can enable us to do more. A 2014 report by the UN Environment Programme estimated that use of plastic consumer goods causes $75 billion of environmental harm annually to natural ecosystems, including $13 billion specifically to marine ecosystems. After a single use, 95% of plastic packaging material value ends up in landfills, as roadside litter, or in the ocean. See our related video. Citizens and policy makers have begun to respond. More than 60 California cities have banned polystyrene foam take out containers, and in December 2015, a federal law banned the use of plastic microbeads in personal care products. 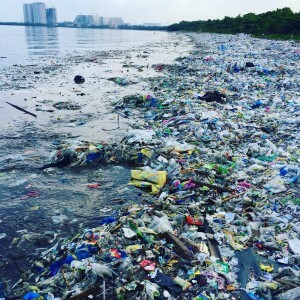 But much of the debris that ends up in the ocean due to poor recycling or trash collection programs, especially from public spaces like sidewalks and parks which often lack waste or recycling bins. Brands that are placing plastic packaging on the market need to redesign it to be fully recyclable, and most importantly, take responsibility for dramatic improvements in actual recycling of packaging through producer responsibility programs so it stays out of waterways. Through shareholder engagement, we are challenging brands to do just that — increase recyclability of packaging, and find ways to dramatically increase the effectiveness and rates of recycling and composting. Our work already has resulted in important advances. In 2013, following engagement with As You Sow, McDonald’s and Dunkin’ Brands agreed to phase out polystyrene foam coffee cups, which can cause havoc with marine life. In 2014 Procter & Gamble agreed to make 90% of its packaging recyclable, and Colgate-Palmolive pledged to make all packaging recyclable in three of four operating divisions and to use 50% recycled content, both by 2020. In 2017, Target Corp. agreed to engage with its suppliers to phase out the use of harmful polystyrene foam for e-commerce packaging. Also, Unilever agreed to make 100% of its packaging recyclable, reusable, or compostable by 2025. In 2018, we scored five big victories: McDonald's agreed to stop using polystyrene foam cups globally by year’s end, and made a bold, unprecedented commitment to recycle all packaging in its restaurants worldwide by 2025, as we had been urging. At the same time, Dunkin' Brands publicly committed to a schedule for phasing out foam coffee cups. In July, Starbucks responded to our shareholder proposal, supported by nearly 30% of company shares, to call for the phase out of plastic straws. In August, KraftHeinz, the third largest U.S. food company agreed to make packaging recyclable by 2025, followed in October by Mondelez International, maker of snack foods like Oreo cookies, agreeing to do the same. Both of these latter actions were following several years of sustained engagement resulting in a high number of votes for our shareholder proposals. To ensure the health of our oceans, many more companies need to commit to stop using harmful or toxic plastics, to design their packaging for recyclability and to commit to develop a greatly optimized recycling system, with public space recycling to prevent littered packaging from being swept into storm drains, streams, and then oceans. KraftHeinz, Kroger, and Mondelez International are three major brands we are engaging on recyclable packaging and plastic ocean pollution. Shareholder proposals filed with the companies on this topic have received strong support. In 2017, our proposal to McDonald’s Corp., asking it to phase out use of polystyrene foam packaging globally, received the support nearly one-third of all shares voted. A 2015 proposal to Kraft was supported by nearly 30% of shares voted, and 2016 proposals at Kroger were supported by 28% and at Mondelez by nearly 27% of shares voted. These are very high vote results — the average vote result for all social and environmental proposals in 2015 was 20%.